Hi guys, change the ball joints this weekend on buds citi. But the tie rods ends was stubborn b****. The end is detached from the rack, how do you remove it from the hub? Go and buy a special tool from a car spares shop. That would be the easiest without damaging something else. Pietie wrote: Go and buy a special tool from a car spares shop. That would be the easiest without damaging something else. 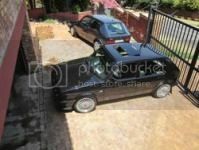 2002 Citi golf. ADY engine with GW carb, Viper 4-2-1 branch, 282 estas cam, 57mm freeflow, GW delarey big brake kit and GW delarey gearbox mounting. I even failed with this once, removed the hub and mounted to a vice and moer'd it and had no luck. you guys need some steps on how to use a persuasion tool? you dont hit the hammer with the part, you hit the part with the hammer! Stompie wrote: you guys need some steps on how to use a persuasion tool? run to kitchen, klap 2 scoops of pump pre workout and grab the car by die roof!! LOkl, klap 2 scoops of preworkout!! Where did you buy this tool from? I need to replace my citi's ball joints and have no intention or patience to struggle. [quote="kyzah"]Hi guys, change the ball joints this weekend on buds citi. But the tie rods ends was stubborn b****. The end is detached from the rack, how do you remove it from the hub? 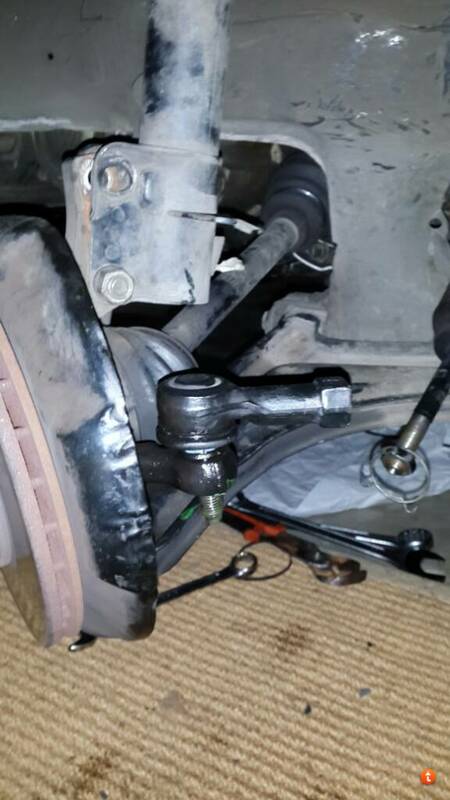 When you replaced the ball joints,did you have to remove the whole hub or did you only have to loosen the one bolt on the shock and then the ball joint? I want to attempt this exercise this week but prefer to know precisely what I am getting myself into. I only have one day leave to do this.....so need to be fully prepared. local Midas or Motozone should have it. kyzah wrote: Hi guys, change the ball joints this weekend on buds citi. But the tie rods ends was stubborn b****. The end is detached from the rack, how do you remove it from the hub? I'va done the shockmountings and replaced the ball joints.....BUT the knocking sound is still there. As per above picture did I jack up the car, removed the wheel and found the rubber on the lefthand side of the steering rack to be damaged, when jerking the steering rack up and down with a bit of force have I seemingly found my "knocking" sound. Now.....can I drive with it like this until monthend when I can attend to it or is it dangerous in terms of further damage or possible breakdown? If at first you don't succeed just get a bigger hammer. Don't want to own the same model car twice!